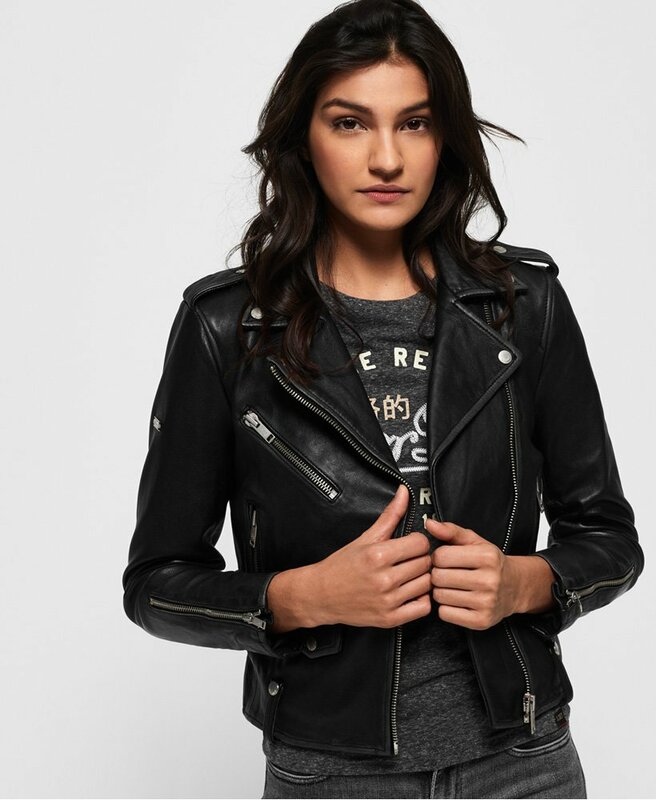 Superdry women's Rylee leather biker jacket. Crafted from premium quality leather, this jacket combines top craftsmanship with ultimate style and comfort, making it a must have investment piece for any woman's wardrobe. The Rylee leather biker jacket features an asymmetrical zip fastening, popper epaulettes and four front pockets. This jacket also features zip detailing on the cuffs and is completed with a metal logo badge on one sleeve. The perfect finishing touch to any outfit, why not try layering this biker jacket over a floral dress to toughen up your look.